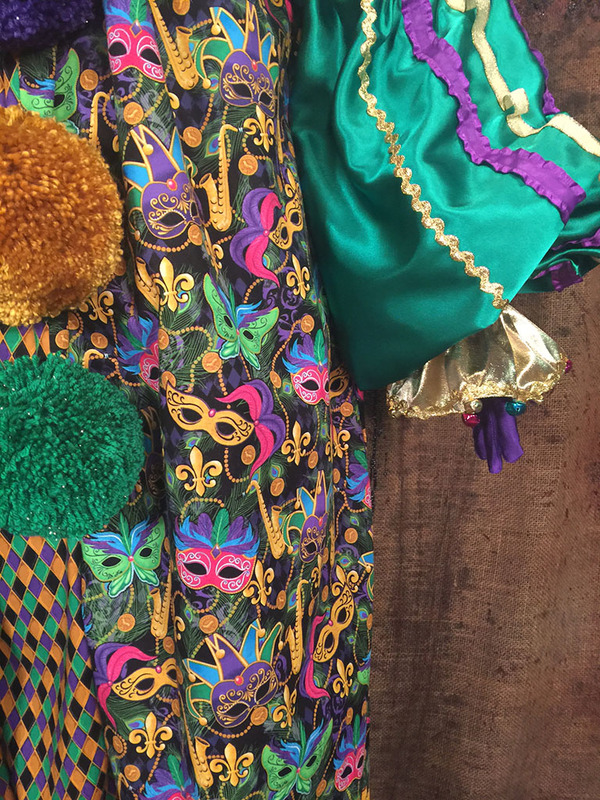 The infamous colors of purple, green and gold are Carnival’s official colors. 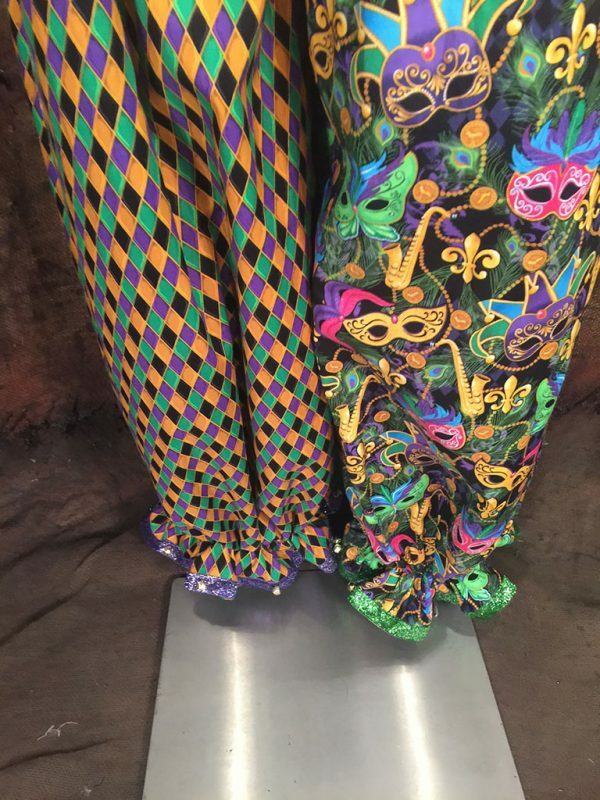 Purple stands for justice; gold for power; and green for faith. 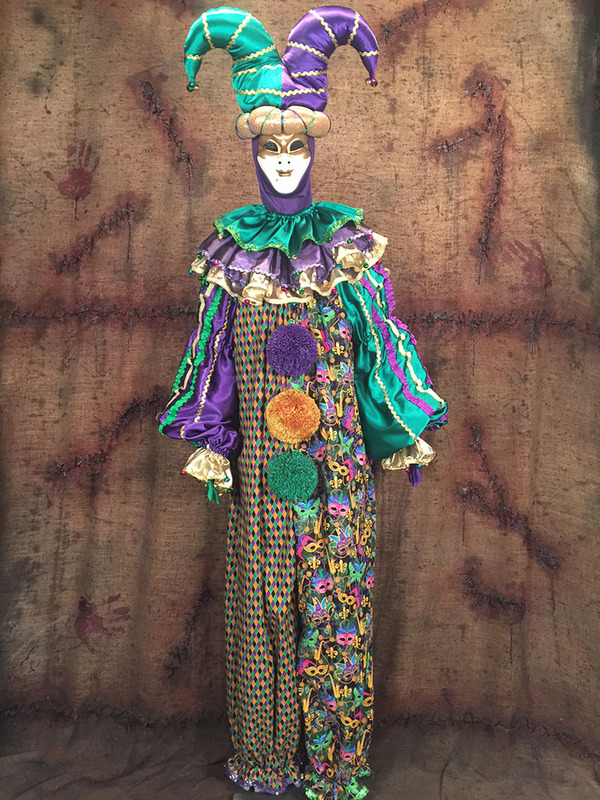 This is what our Marty the carnival clown is all about! 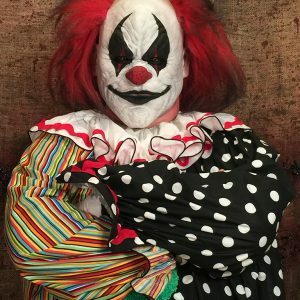 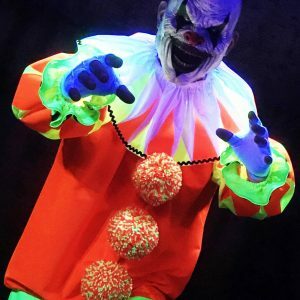 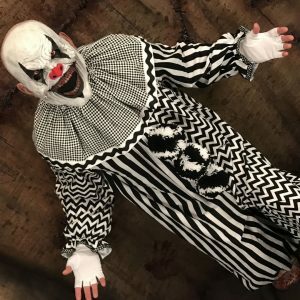 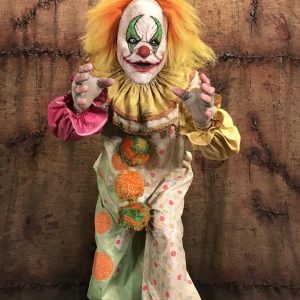 “Marty” the Carnival Clown…from Dark Creations ATX as part of our new Classic Clown Series Headin’ down to Carnival this year? 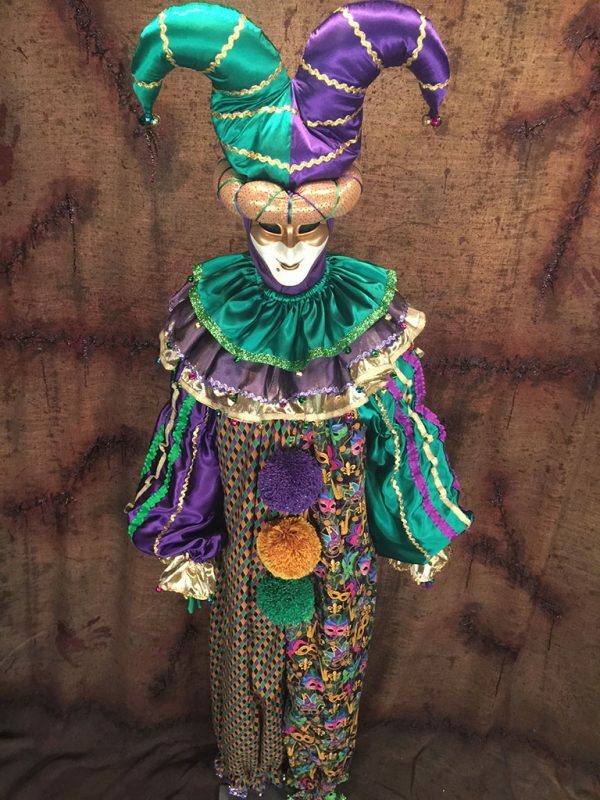 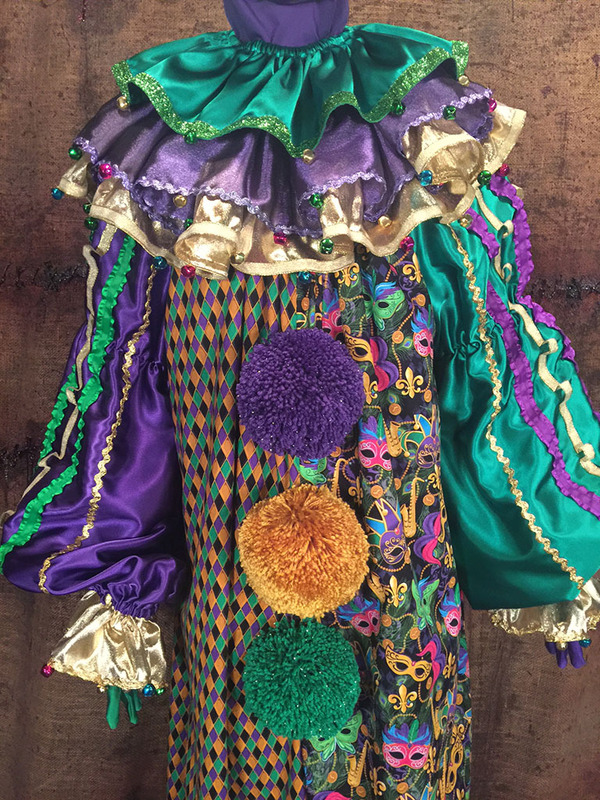 Go in full elaborate style this season with this full clown suit made of 100% cotton calico fabric. 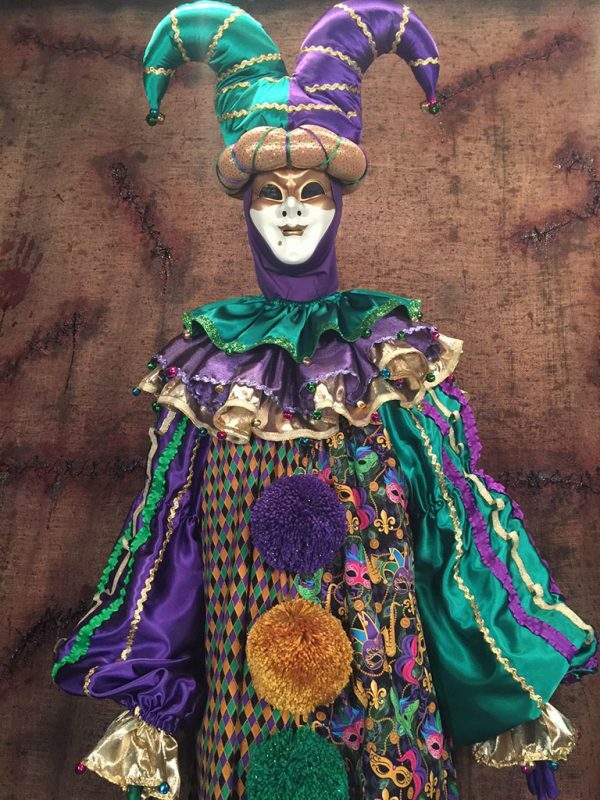 The body of the suit, done in the traditional purple, gold and green colors, is laid out in a diamond geometric pattern on one side and bright colorful masks on the other. 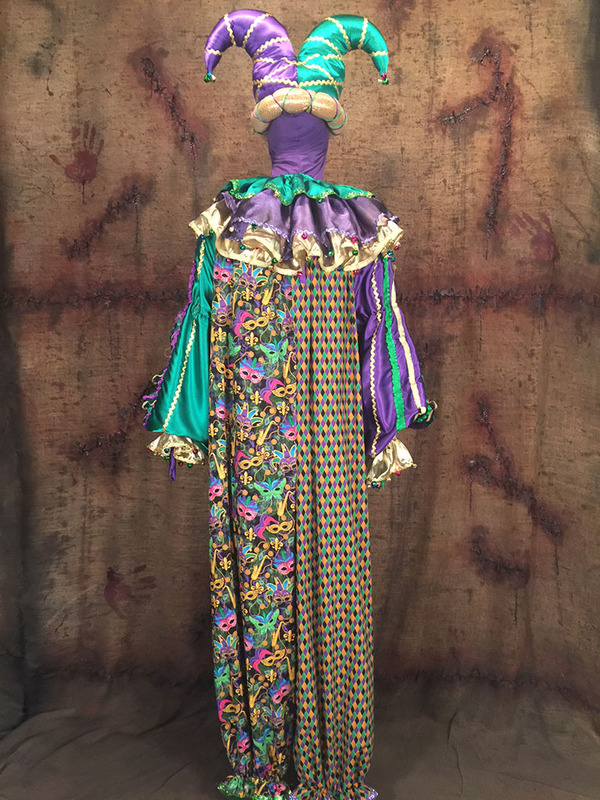 The sleeves are made of purple and green satin and trimmed in multi colored rows of metallic ribbon and trimmed with bells. 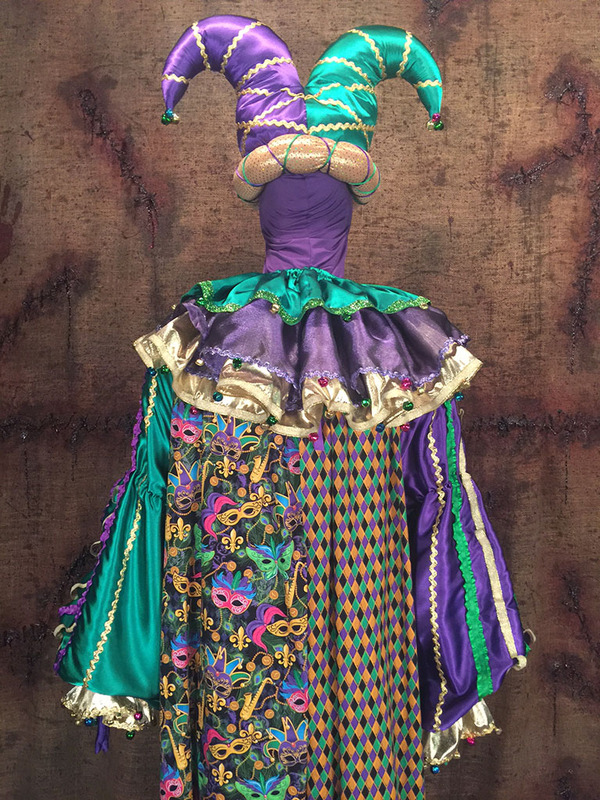 A three tiered ruffle collar made of gold and purple taffeta and green satin are also trimmed with bells. 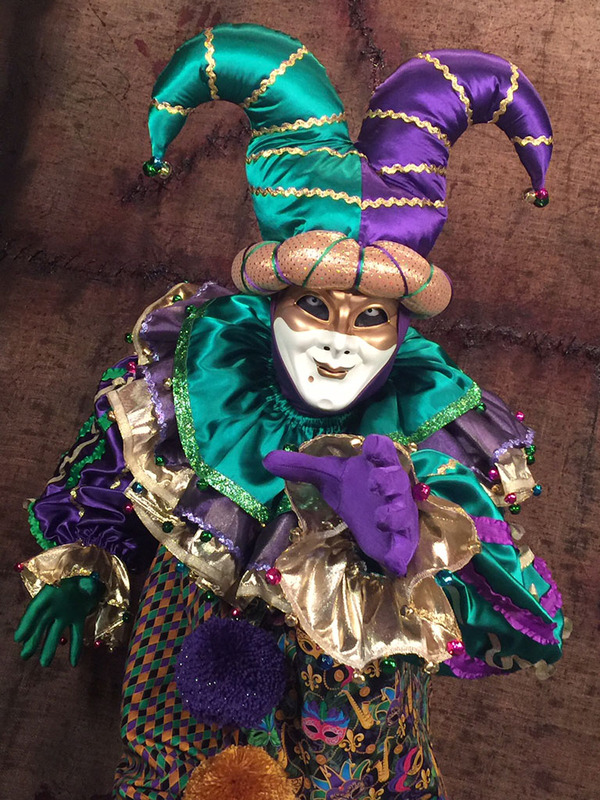 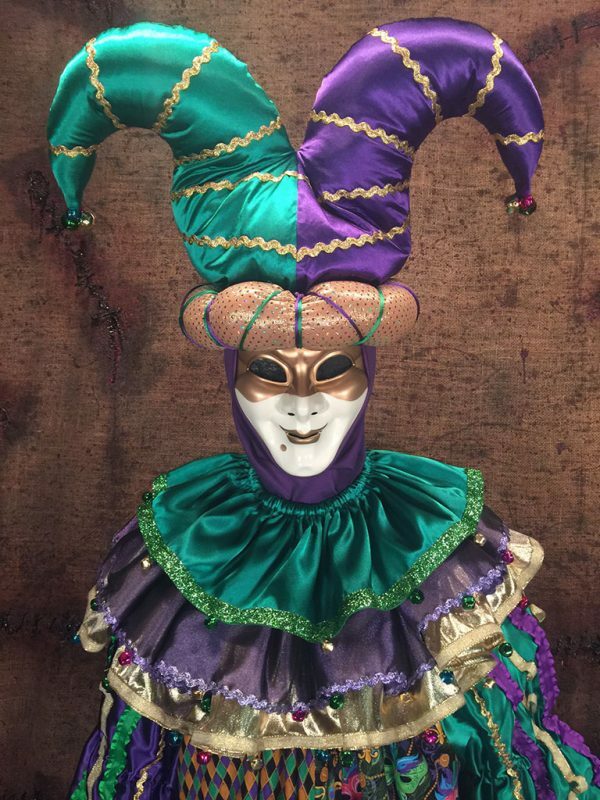 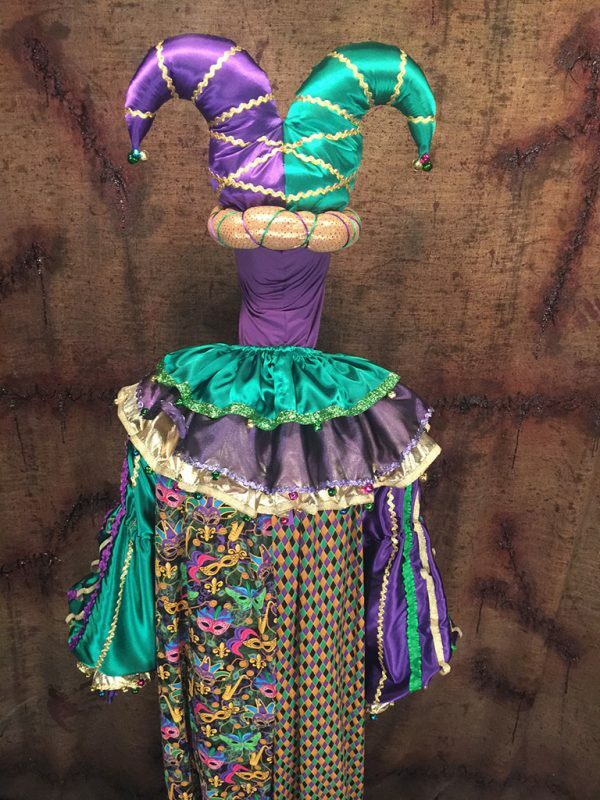 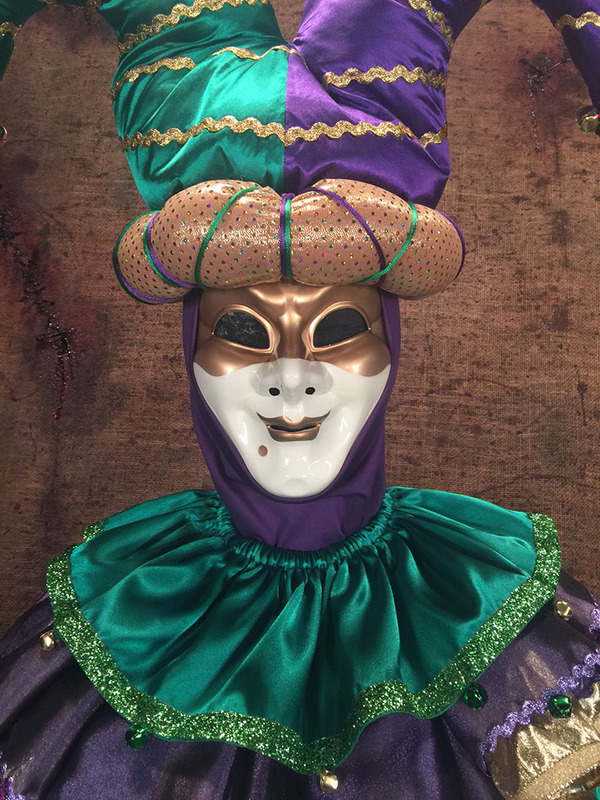 The giant jester’s hat of purple and green satin has a gold metallic stretch tube like band that makes it easy to fit any head size. 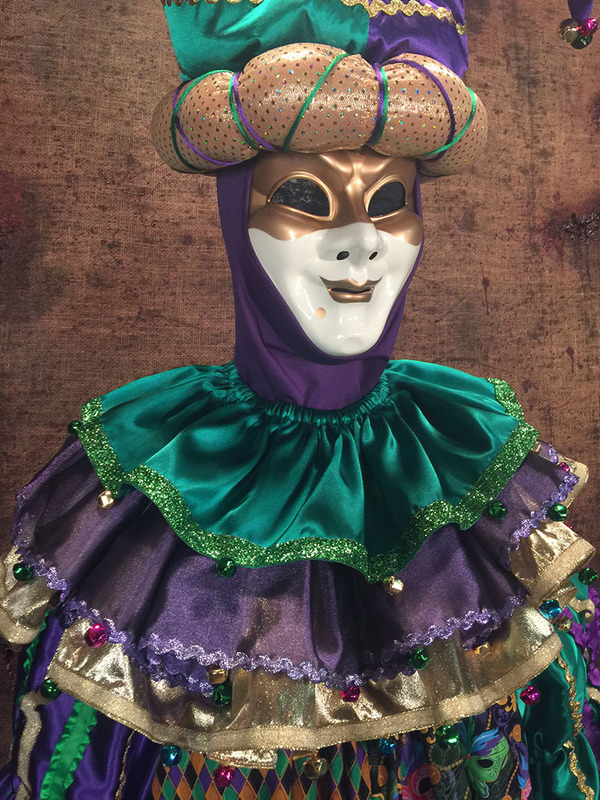 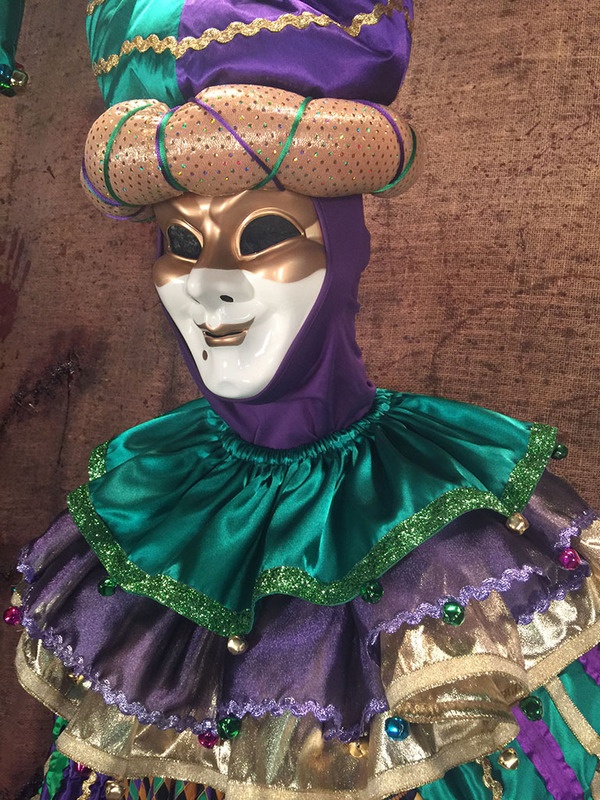 The deluxe Mardi Gras mask made in the Venetian tradition is painted in gold and white colors and worn over a purple ski like cap. 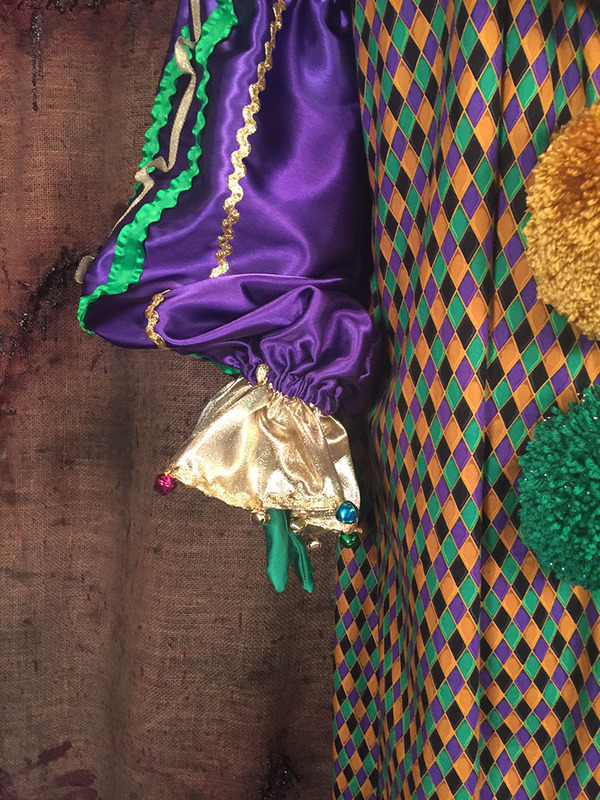 Comfortable easy to wear gloves in the color of green and purple grapes add the final touches to this “Marty” Gras experience.